This comes after the WHO’s International Health Regulation Emergency Committee agreed that a causal link between this cluster and Zika virus disease is strongly suspected, noting that it constitutes an “extraordinary event” and a public health threat to other parts of the world. 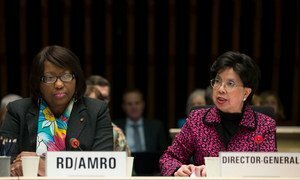 “I am now declaring that the recent cluster of microcephaly cases and other neurological disorders reported in Brazil, following a similar cluster in French Polynesia in 2014, constitutes a public health emergency of international concern,” Margaret Chan, the Director-General of WHO told reporters in Geneva via teleconference. Last week, she called for the emergency meeting to advise on the severity of the health threat associated with Zika virus disease in Latin America and the Caribbean. In assessing the level of threat, 18 experts and advisers looked in particular at the strong association, in time and in space, between infection of the Zika virus and the rise of detected cases of congenital malformation and neurological complications. “The experts agree that a causal relationship between the Zika infection during pregnancy and microcephaly is strongly suspected, though not yet scientifically proven,” explained Dr. Chan. “All agree on the urgent need to coordinate international efforts to investigate and understand this relationship better,” she said. The experts also considered patterns of recent spread and the broad geographical distribution of mosquito species that can transmit the virus. The lack of vaccines and rapid and reliable diagnostic tests, and the absence of population immunity in newly affected countries were cited as further causes for concern. “In their view, a coordinated international response is needed to minimize the threat in affected countries and reduce the risk of further international spread,” Dr. Chan noted, accepting the advice. She underlined that a coordinated international response is needed to improve surveillance, the detection of infections, congenital malformations, and neurological complications. The decision will also intensify the control of mosquito populations, and expedite the development of diagnostic tests and vaccines to protect people at risk, especially during pregnancy. Meanwhile, the Committee found no public health justification for restrictions on travel or trade to prevent the spread of Zika virus. “At present, the most important protective measures are the control of mosquito populations and the prevention of mosquito bites in at-risk individuals, especially pregnant women,” Dr. Chan concluded. Also speaking at the press conference was David Heymann, the Chair of the Emergency Committee, who said “it was a very difficult decision to discern between what is a public health emergency of international concern, and what should be precautionary measures because of possible relations” between Zika and microcephaly cases and other neurological disorders.